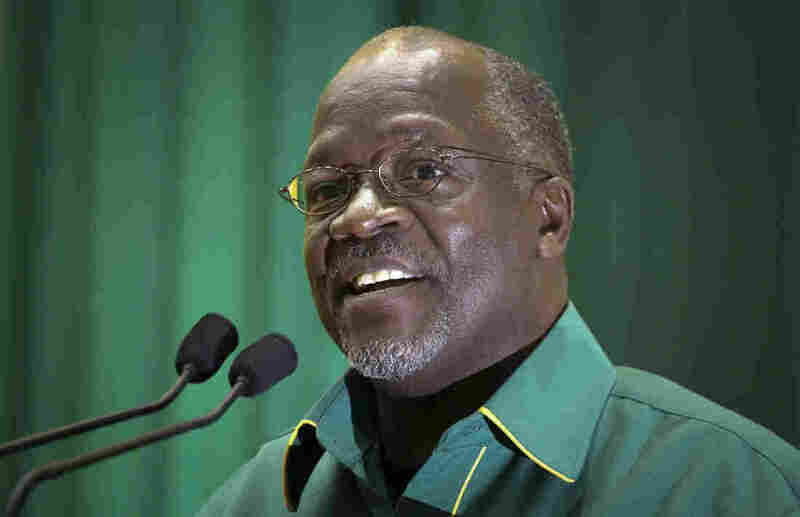 #WhatWouldMagufuliDo: Tanzanian President's Thriftiness Gets Him A Meme : The Two-Way In just three weeks in office, John Magufuli has shaken up country's finances by slashing budgets for celebrations and travel. The Internet reacted with a funny meme. John Pombe Magufuli in July of 2015. In his first few weeks in office, Tanzanian President John Magufuli has made big changes to the country's finances. He's slashed government budgets for everything from celebrations to international travel.
" 'Unless there is an urgent undertaking abroad one could be allowed to travel after getting permission from the president or the chief Secretary,' Premi Kibanga, the president's spokesperson, said (in Kiswahili) in a statement. Instead, civil servants are urged to spend more time traveling to rural areas and fix the country's problems there. "It hasn't stopped there. He has ordered against official gatherings outside the office when such meetings can be conducted through conference calls. And this week came the news that independence day celebrations next month, an annual fixture, are cancelled. The funds that would've been spent on the pomp and circumstance should be directed to other public services, such as the fight against cholera, the president's office explained (in Kiswahili). "Also banned are public offices buying and sending christmas cards on the government's dime. On top of all of that, Magufuli has promised a small, lean cabinet, expected to be announced next month." Inspired perhaps by Magufuli's thriftiness, denizens of the Internet are taking a hard look at their own finances.